Speech and language therapy focuses on the evaluation and treatment of children who have difficulty listening, speaking, reading and/or writing. Our speech language pathologists have experience treating disorders that can effect these areas of communication. Our speech language pathologists are also learning specialists and have extensive experience in working with children with learning differences. In child therapy, the therapist works to create a non-judgmental atmosphere with clear boundaries in which a child can feel safe to express feelings, identities, and struggles. This environment also facilitates children's development of mastery, coping, and problem-solving skills. Amy uses an eclectic model - drawing on methods and techniques from psychodynamic therapy, child-centered therapy, cognitive/behavioral therapy, and family therapy - adapted to meet the needs of children's presenting problems. We offer a variety of tutoring services to children in grades K-12. Our speech language pathologists, psychologists and special educators provide support in the areas of reading, writing, skill building, organization and executive functioning. Referrals to specific providers are based on each child's individual learning needs. Occupational therapy helps children gain independence and promotes development of fine motor skills, sensory motor skills, and visual motor skills that children need to function and socialize in their home, school, play, and community environments. Children may benefit from occupational therapy for: self-care skills including feeding, dressing, and grooming; hand strengthening and coordination skills required for activities such as cutting with scissors, coloring, and writing, buttoning, using feeding utensils, etc. ; sensory-motor processing and integration; and visual motor and handwriting skills. 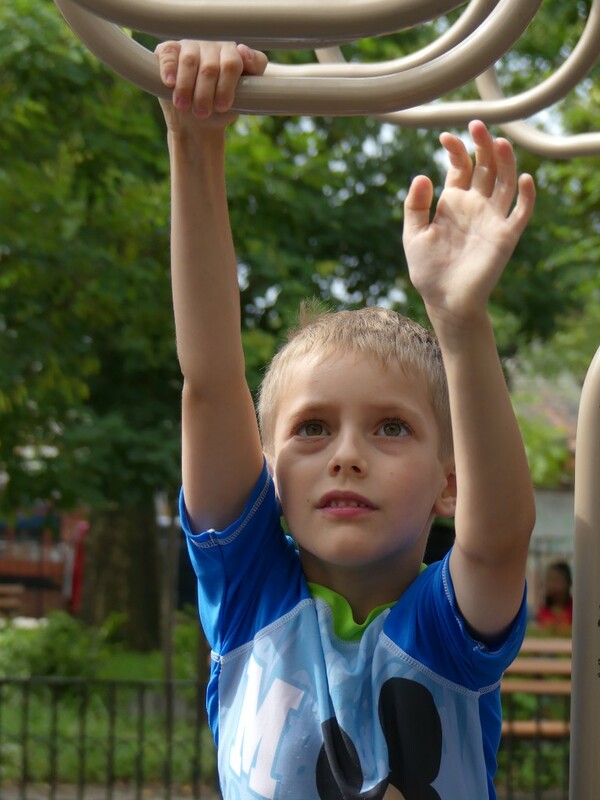 Intensive Social, Communication, and Sensory Motor Therapeutic Intensive Camp, for children ages 5 - 10 years old. The tuition for the Summer one week sessions is $700. 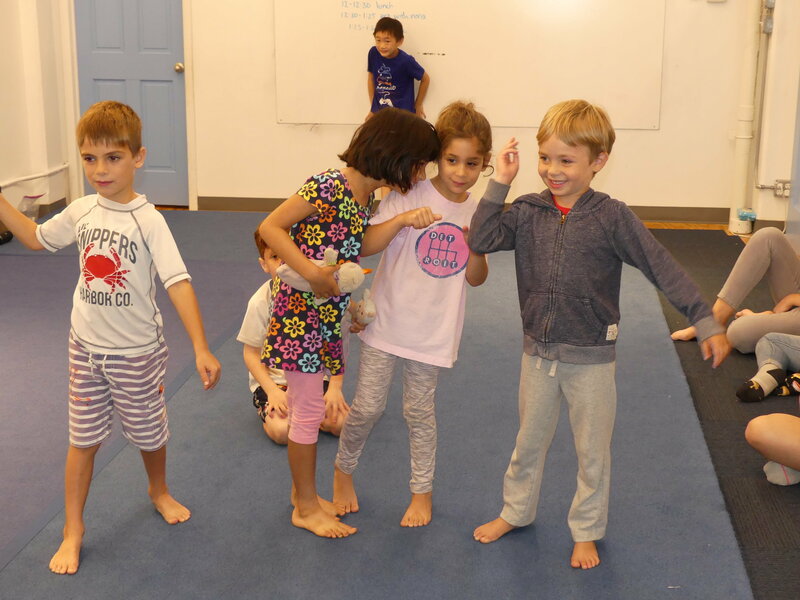 In these week-long programs, children will work in small groups, according to age,with licensed therapists (Clinical Social Worker, Speech/ Language Pathologist and/ or Occupational Therapist) to promote skills in a fun, playful atmosphere. This is an opportunity to provide your child with a set of skills to navigate social situations in their everyday life. The group will be selected specifically to meet your child’s needs. Each group will be planned and focused on skills such as flexibility, frustration tolerance, perspective taking, stress coping, anxiety/anger management, self regulation, assertiveness, conflict resolution skills, confidence and more. You bring a friend, we'll provide the fun! This is a wonderful way to help your child navigate play dates with the guidance of a special educator. The therapist plans and guides the sessions and the focus of the session may be on building tools for flexibility, frustration tolerance, perspective taking, stress coping, anxiety/anger management, self regulation, assertiveness, conflict resolution skills, confidence and more. Each session includes your child and a friend you choose to bring. This assists students through guides and models of pro-social skills in a playful and relaxed setting. The more natural the context is, the better. This is ideal for kids who might not be quite ready for a larger social skills group. Amy Weber is a Licensed Clinical Social Worker (LCSW) with over 15 years of experience working with children, adolescents, and families, both as an administrator and a clinician. Amy has completed the Child and Adolescent Psychotherapy training program at William Alanson White, and is also trained in DIR/Floortime. She is co-founder of Speak, Learn, and Play. Amy sees children for play therapy, and conducts social skills groups. Jennifer Volpe is a New York State licensed speech pathologist with over 10 years of experience and the founder of Manner of Speaking. She holds her Certificate of Clinical Competence (CCCs) from the American Speech and Hearing Association (ASHA) and is certified as a Teacher of Students with Speech and Language Disabilities (TSSLD). She is also a certified learning specialist through the American Academy of Learning Specialists. Jennifer provides speech and language therapy in all areas with a focus on language based learning disabilities. Jennifer works with children ages birth to adolescents. Trainings include certification in Wilson Reading System, Additional trainings include PROMPT, Visualizing and Verbalizing, Therapeutic Listening and Basic Writing Skills. Cristina Septien, OTR/L, is an occupational therapist. She graduated from Amherst College (Theater and English), and earned her master's degree in Occupational Therapy from NYU. With specialties in sensory integration, handwriting, and reflex integration, she has worked in preschools, elementary schools, and sensory gyms, as well as in private settings. She has trained in programs such as Handwriting Without Tears and The Alert Program, and has helped to establish enrichment camps for special needs students. She lives in Brooklyn with her husband and two kids. Elizabeth (Liz) Medina is a NYS licensed Occupational Therapist with over 25 years of experience in working with children and adolescents. Liz has an extensive background in consulting and therapeutic and evaluation services at private practices, public schools, parent groups, and specialized schools. At Speak, Learn, and Play, Liz specializes in Early Intervention, Sensory Integration Dysfunction, Graphomotor Disorders and Developmental Disabilities including Autism Spectrum Disorders. Liz promotes a collaborative, holistic approach to her services that examines how sensory issues impact learning, as well as adaptive and social functioning. While providing services, Liz believes in fostering self-esteem and challenging her students in order to develop a functional psychological and physical skillset. Amanda Franquinha MSEd, is a special educator and a learning support therapist. Her energy and enthusiasm comes from the passion she has to understand and help children that find difficulty socially and academically. Amanda has been a special education teacher in New York City public schools for seven years and specializes in social, academic, and executive functioning supports for students with ASD and learning differences. Beginning at Wagner College for a Bachelors Degree in Education and Sciences, continuing on to St. Johns University for her masters in Early Childhood Special Education, never stopping her continuous love for learning she attended NYU, Columbia and Hunter College. She also has presented and shared her knowledge with others by leading workshops at different locations throughout the city. Krista Wilbur has over 10 years of experience working with children with special needs through Bank Street College of Education. Krista has a range of experience including as a classroom teacher, a SEIT, and SEIT supervisor. She has also led social groups for children 2-5 years old for over three years. She received her Masters in Education from Bank Street College where she studied Infant and Parent Development Early Childhood and Special Education. She also has her certification in DIR/Floortime. 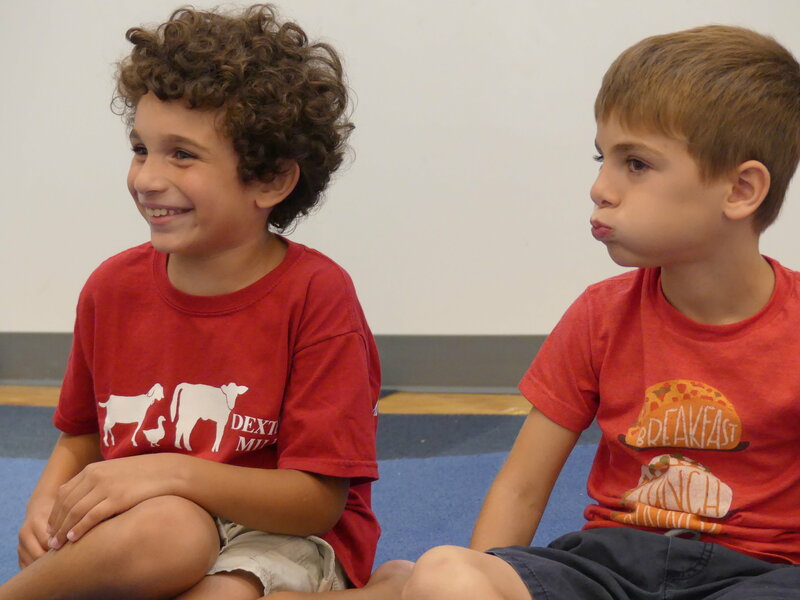 One of Krista’s main objectives is to create meaningful experiences for each individual child. Krista’s interest in yoga and mindful practices inform her work and these practices are used to connect children with their inner strengths. She enjoys finding these foundational elements and working with them to aid personal growth. She is a parent of two young children and lives in Brooklyn NY. Session Three Was the Place to Be! In Movement/Occupational Therapy with Renee, we revisited some of our favorite games like Musical Spots, Freeze Dance, and Body Band. We worked on cooperation and executive functioning skills with a few obstacle courses and relay races. And we learned some “old school,” classic games, like “Red Light Green Light,” “Simon Says,” “Duck Duck Goose,” and “Mother May I.” All of these games help us follow directions and practice control of our bodies. In Play Therapy/Social Skills with Amy, we continued our practice of naming our feelings and listening to the feelings of others. We expanded our pretend play skills by using the rocket ship, the sharks and dinosaurs, and the castle/jail. We worked on turn taking and following rules (and tolerating winning and losing!) by playing some board games, such as Race to the Treasure, Monster Flush, and Ghost Party. And we wrote our own musical about the Lincoln Sisters and their cats going to the circus (complete with tap dance!). In Speech Therapy with Jenn, we continued to practice working on our pragmatic language, our expressive language, and our executive functioning skills. We read One Day The End and wrote our own stories. We played Super Fight to create our own superheroes, and had an imaginary battle against Joker. We played Cranium Hullabulloo to practice following multi-step directions. We played a lot of building games (with legos and Mine Craft Blocks) to practice communicating to a partner. And we honed our question-asking and answering skills with Pokemon Headbands. In Art with Nora, we made mixed media collages and painted canvases. On the playground, we played tag and ran through the sprinklers. We played “follow the leader” and “the floor is lava.” After practicing for three weeks, several of our campers mastered the monkey bars. And we created the biggest hopscotch EVER (48 squares!) and shared it with kids from other camps. We had some great read-alouds this week, too: Memoirs of a Goldfish, The Very Cranky Bear, Uh Oh Octopus, Dragons Love Tacos, Creepy Pair of Underwear, and The Night I Followed the Dog. Thanks so much for sharing part of your summer with us! Copyright © 2018, Speak, Learn, & Play, LLC, All rights reserved.